does anybody know the size and brand of these models? Those are Terra by Battatt, about the size of the major brands but a tad smaller. Do you know where can I buy them? You're welcome! They're sold in Target stores in the US. 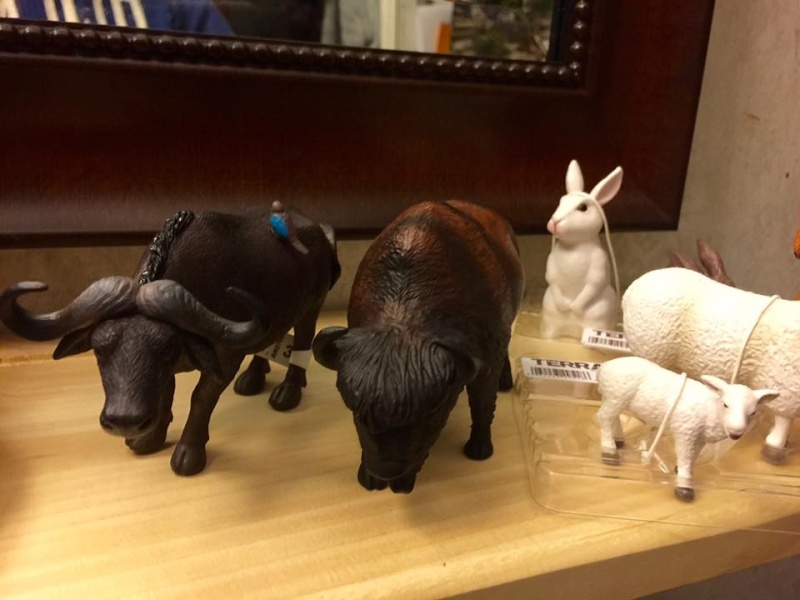 It will be hard to obtain them but I like the buffalo and bison. I like these models too. I just discovered and purchased this Cape buffalo. I really like it. I saw the bison for the first time too- it has a lot of character, as if it was based on a specific individual or image. The only one on the shelf had a warped leg, so I'm waiting to find another and take a closer look. If I had found them sooner I could have added them to your swap box, Noémi!